The story that was meant to be just did not happen on Thursday night. Wits’ first ever Varsity Football final ended in disappointment as the team lost to Tshwane University of Technology (TUT) 2-1 with a stoppage time winner from the Pretorians at the Bidvest Stadium on September 28. The final would not have a fairy tale ending, with the Witsies left ruing missed opportunities. Bombastic blue met rebellious red for the men’s final. The Wits crowd was in full strength as fans filled the stadium to maximum capacity. Cheering the Braamfontein boys from the stands, their presence was invaluable. The game got off to a fiery start with both teams creating opportunities. The small congregation of TUT fans were making sure their attendance was felt, keeping on their feet the whole night. Wits were clearly on the back foot, struggling to get out of their half and relying on counter attack play down the right wing for any goal-scoring chances. TUT were dominant on the ball, using the flanks to swing balls into the box. Against the run of play, captain Tshireletso Motsogi converted from a neatly taken corner close to the end of the first half. Towering above the TUT defence, the midfielder rose highest to put the Witsies in the lead. 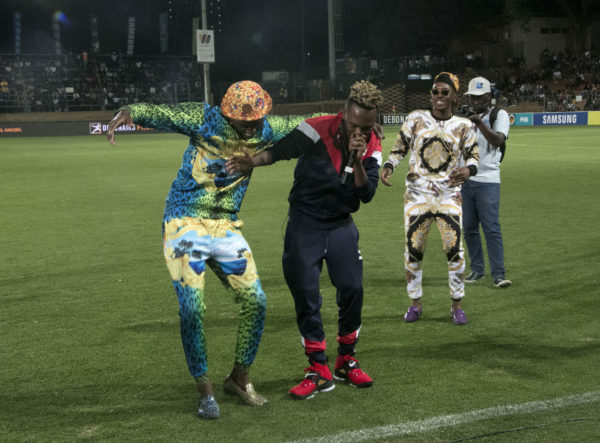 Rapper Kwesta was a special guest at half-time, performing some of his most famous songs at the breakfor the soccer fans. The second half got off to a high tempo. Godfrey Mahlala pulled one back for TUT soon after the restart with a neat finish after some sloppy defending from Wits. One of Wits’ shining stars for the season, Waylon Rooi, came on in the second half but never really seemed to settle into the match. With a penalty shootout seemingly inevitable, the Braamfontein boys’ lapse of concentration cost them dearly as TUT scored the winner in the dying minutes of the match. Collen Vilakazi headed in from close range with three minutes remaining, breaking Wits hearts. TUT’s Mahlala was the winner of the Golden Boot with five goals throughout the three-month long campaign. He was also awarded Player of the Tournament ahead of Wits goalkeeper, Matthew Carelse, who had a game to forget. 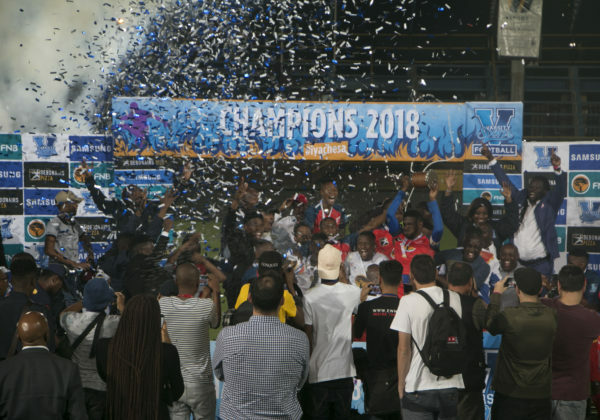 Wits was hoping to secure qualification for next year’s tournament with a win in the final but it was just not meant to be. However, coach Alzavian van Rheede sees it as an opportunity to rebuild and start the journey again. “With next year, it’s nice because it’s a rebuilding phase for our football. It took us 12 months to get here, from second last to second place. So our future looks bright,” continued the coach. The team had dedicated the match to their captain’s daughter, Ofentse, who has been ill for the past two months. A team meeting was held before the match and t-shirts printed with the hashtag #PrayForOfentse were given to each member of the squad. “The t-shirts from the team was a bitter sweet moment, when you’re so emotional. To know that your team supports you and sees your struggles and sacrifices. It meant a lot to me,” Motsogi told Wits Vuvuzela. 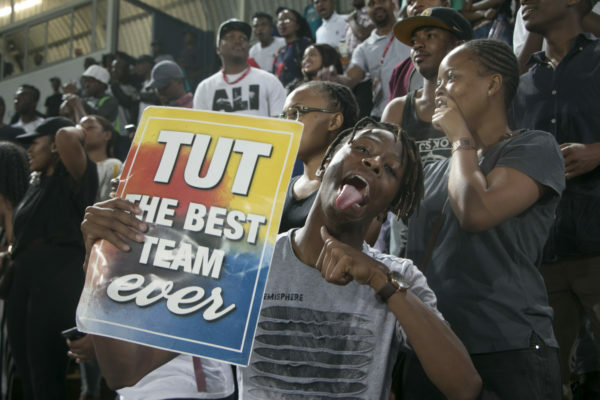 The night would belong to TUT with both the women’s and men’s teams securing the trophies in their respective encounters. The women’s final between TUT and University of Western Cape (UWC) got the ball rolling in the late afternoon at the Bidvest Stadium. The tightly-contested encounter was played at an intensity that got the spectators enthralled. TUT were in the driving seat throughout but gave away a penalty after a lazy tackle from captain Jabulile Mazibuko. The spot kick was converted by Khanya Xesi to put the ladies from the Mother City in front. TUT failed to equalise from the spot after Kgomotso Mashilwane’s penalty kick in the 43rd minute went well wide of the posts. Two last-minute goals from Hilda Magali and Rachel Sebati were enough to give the Pretorians the victory. UWC’s Bongeka Gamede was awarded the FNB Player of the Tournament award for her dominant performances throughout the tournament.